Mrs. Rajani Tai, post 15 years of graduation, which was also 15 years of her married life, went back to college to get a Master’s degree in Social Work. She then joined as a professor in College of Social Work, Mumbai and then taught at Shikoku Christian University, Japan. She mainly taught subjects revolving around Indian social problems and international social welfare. 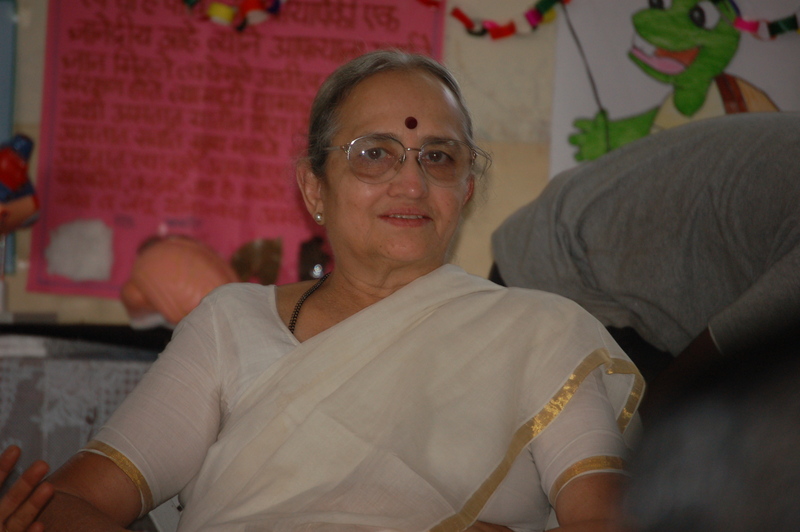 After two decades of working as a professor, she officially started a- Door Step School (DSS) in Pune (1993). Door step school aims to make 100 percent literacy a reality. This is a group of people, Targeting children from age 3 to 18 (mainly children of migrant workers), teach the children even if there is no place to conduct the classes (sometimes conducting classes on pavements or road construction sites or railway stations and the like). In an interview, Rajani Tai said, “We go where ever the children are and start the class right there”. The Doorstep School has today become a 750+ member organization that serves more than 30,000 underprivileged kids. Though Rajani Tai had a stable job she quit on an easy life just to aid kids in need. She started small and now DSS is no less than a miracle. This is the thing about heroes, they create miracles out of scrap.